Your much-deserved holiday is normally a time for relaxation, recuperation and rest. But sadly, not all holidays can turn out to be a blissful and memorable experience. 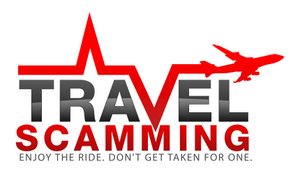 As you make your travel arrangements and book holidays, sneaky surcharges, frauds and scams are abound. Moreover, the world is now loaded with two-faced con artists who would do anything to earn pots of stolen money, such as over friendly locals, hotel workers, taxi drivers and even travel agents. As a matter of fact, some of the world’s most sought-after destinations like Paris and Barcelona are teeming with tricksters deceiving unsuspecting travelers. Planning on a taking a holiday? Then, make sure to take note of these friendly tips and suggestions. 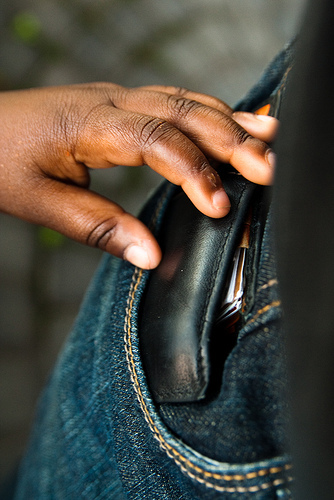 For decades, pick-pocketing has been a major problem in several tourist destinations all over the world. It is getting even worse in some of the world’s top tourist destinations, as thieves are now more aware that travelers carry a lot of cash and valuables. As a tourist, the best thing you can do to prevent thieves from pick-pocketing your money is to try not to bring large amounts of cash inside your wallet or bag. Instead, take advantage of your credit or debit card as well as the area’s ATM machines. Also, you can store your money in a wallet that you can easily attach to your own belt, decreasing the chances of you being embezzled by pick-pocketing criminals. Railway stations, markets, malls and crowded streets are, obviously, the spots where these criminals hang out. As you pass by these spots, move on quickly, and check your belongings from time to time. Likewise, make sure that your bag is completely zipped up. There are a lot of street scammers that would pretend to offer something that is free, such as a music CD or a rose for your spouse. In some cases, they would offer a helping hand to take a picture of you. But afterwards, these over friendly people would aggressively demand a payment for what they have offered to you. Even worse, these voluntary shutter bugs would run off with your phone or camera. Holiday scams may also involve something that would attract or distract you. In the streets of London, for instance, there are these so-called magicians that would perform catchy and distracting tricks, as their accomplices would slowly steal the onlookers’ belongings. Another common distraction scheme includes a woman thrusting a fake infant (usually a doll) into your arms. As you hold the infant, shocked by such random act, an accomplice will then poke around your pockets and bag. Be particularly aware of this if travelling as a family as you are more likely to be targeted. Taxi cabs drivers that overcharge travelers by taking longer trails deliberately are quite common all over the world these days. But thankfully, you can avoid this holiday scam by using a GPS-activated mobile device or a reliable paper map. As you delve into the nightlife scene of your destination, refrain from accepting free drinks from a stranger, no matter how good-looking he or she is. Furthermore, always keep an eye of your drink. Otherwise, a scammer may drop a sleeping pill on it, allowing you to lose consciousness quickly. Great tips! I’ve been scammed many times by taxi drivers – problem always is the deny it, and since language is sometimes a big issue, it is hard to debate. They usually get very angry and upset when they sense a disagreement as well 🙁 so I’d also suggest booking a car service or ensure you use a real licensed taxi. Taxi / cab and wallet pick pocketing are the most common scams, Thanks for sharing and letting people know!